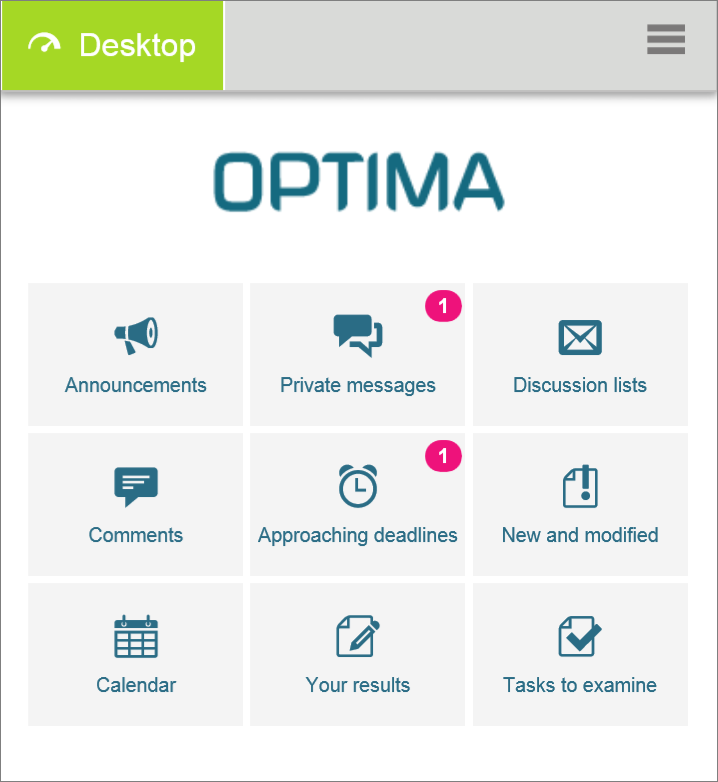 When logging into Optima on a mobile device, you will see the new mobile interface. The mobile version is directed at smart phones. The implementation is based on html5 which means that newest devices support the new mobile interface of Optima. The Dashboard icon can be clicked to hide the dashboard. This could be useful, for example, is a demo situation. On the New object page the workspace supervisor can access the workspace profiles, making it is easy to check and modify the profile settings. Note that the settings do not need to be saved separately, they are valid as soon as you check a box. We have developed a tool which enables producing versatile reports on results in the Optima environment. You can easily build visual reports and generate reports with detailed information. Reports can be viewed in the environment, or they can be saved into a file. The appearance of a Collection can be modified in more detail: you can set a backgroud image or a color. Also, the appearance of the block headings can be modified. Note about the Environment layout editor: the recommended height for a logo to be used in the environment is 40 pixels. The separate logout view has been removed. When logging out, you will see your login page again.